Red is a warm color that is most common in many fast food chains. Using it in restaurants can be too bold and strong at times. But Terrazzo’s subtle red combination with white chips can be a fantastic way to make it more subtle and less intense. Match it with off-white to grey walls and cream-colored furniture, your red hue will come out as a more elegant version of hot red fast food color. Creating happy vibes really needs consistency when it comes to color choices for restaurant interiors. Matching bright yellow walls with light beige and white chip terrazzo flooring creates a unified look that brings out the happy vibes all over the place. One of the more relaxed tones for a restaurant is blue and greens. While this is not common since, historically, blue and green colors are markers for poisonous or spoiled food, some bold and daring restaurants continue to push the boundaries for interior design and have largely used these colors in restaurants. Matching deep blue hues with mint or light-green colored terrazzo tiles can be a soothing combination for dessert places or fusion restaurants. A classic combination for restaurants would of course be white and black elements for the interiors. For white interiors, having black terrazzo flooring creates an exact balance of light and dark elements which would be ideal for different pieces of furniture. Having wooden tables and chairs in a restaurant would naturally complement the elegant black terrazzo flooring as well as stand out against clean white backgrounds. This brings a very sophisticated look to a restaurant’s interiors. Add metal elements such as lighting fixtures or lamps to contrast the natural wood. There are several ways to maximize the different colors and combinations that can be made with Terrazzo tiles. 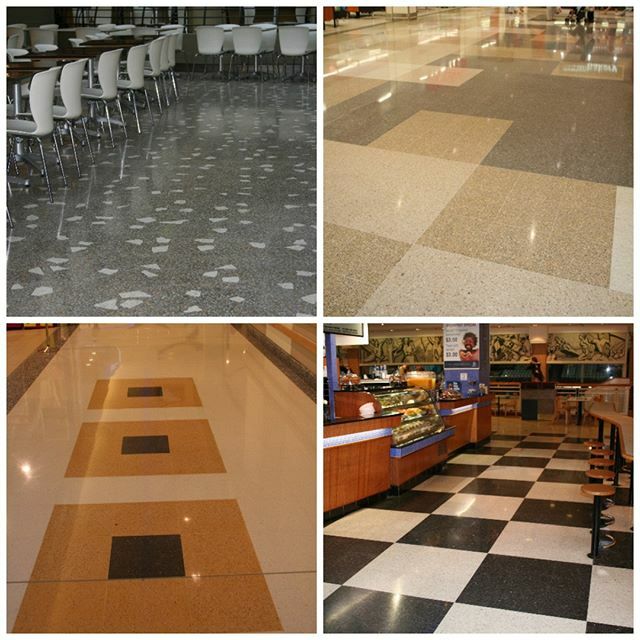 Talk to Terrazzo Australian Marble today to get advice on the best terrazzo for your restaurant in Sydney and around Australia.